Street photography – my version! Something a bit different and my offering for this weeks Monochrome Madness Challenge. Not the sharpest of images, but I was taken by their expressions just waiting patiently for their owners 🙂 Many thanks to Leanne Cole and Laura Macky for the great job they do with this challenge. 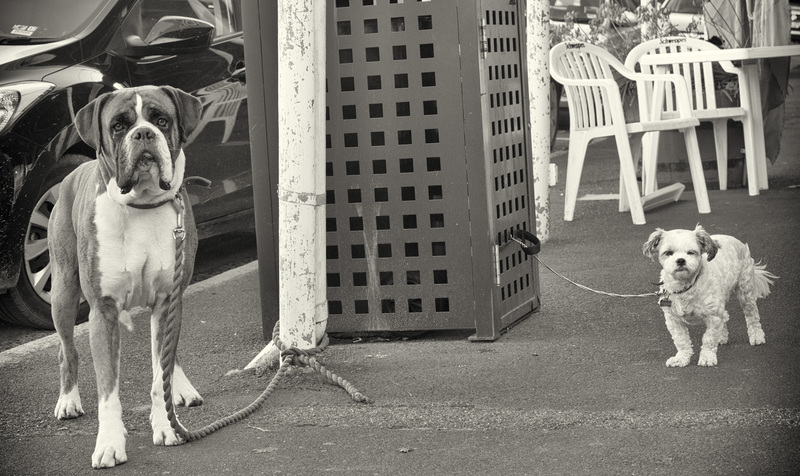 I like the contrast between the two dog sizes – That’s the thing with street photography – you have to be ready at a moments notice and sometimes the technical end has to make way for the spontaneity of the capture. Nice work!